Successful management of eye disease relies on the veterinarians ability to identify ocular features and distinguish pathologic changes. 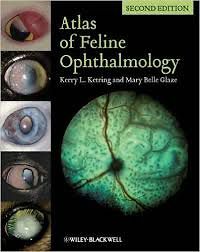 Atlas of Feline Ophthalmology, Second Edition is an invaluable diagnostic reference, providing high-quality color photographs for comparison with a presenting complaint. Presenting 394 photographs illustrating both normal and pathologic ocular conditions, this Second Edition offers a current, complete reference on ocular diseases, adding conditions recognized since publication of the first edition, a broader geographic scope, and many new images with improved quality.